Jasmine Henry, photo by Sergey Pevnev. “The best few months of my life,” is how 16-year-old Jasmine Henry describes her time at the Vaganova Ballet Academy in Russia. The 16-year-old took up a full time position at the Academy in St Petersburg in September, 2018, and has since been adapting to the Northern hemisphere climate as well as the Russian language. Her teacher, Sergey Pevnev from the Pevnev Ballet Academy in Perth, accompanied Jasmine to Russia in May. She undertook classes at the Vaganova Ballet Academy with Assistant Director, Maria Gribanova, after which she successfully auditioned. Jasmine says life at the Academy “has been surprisingly adaptable because of the welcoming people and staff”. Three mornings a week she attends Russian language classes, followed by two hours of classical ballet. “After, I’ll have an hour and 45 mins of character, acting or pas de deux class.” If you are lucky enough to be chosen, she says, there are then rehearsals for performances at the Mariinsky Theatre or for upcoming tours. Her day finishes at 7.30pm. For Jasmine the hardest part of life at the Academy has been overcoming the language barrier and interpreting her timetable. However, she says, “the language classes have helped to overcome the problem and have resulted in some lovely friendships”. Her ultimate goal once she graduates is to successfully audition for a prestigious company in Russia, such as the Mariinsky or Bolshoi Ballet, and to dance all around the world. She is already on the way, having performed at the Hermitage Museum and Mariinsky Theatre and with an upcoming tour to Japan. For now, she is just grateful to be where she is, “receiving some the very best training in the world in such a wonderful place”. 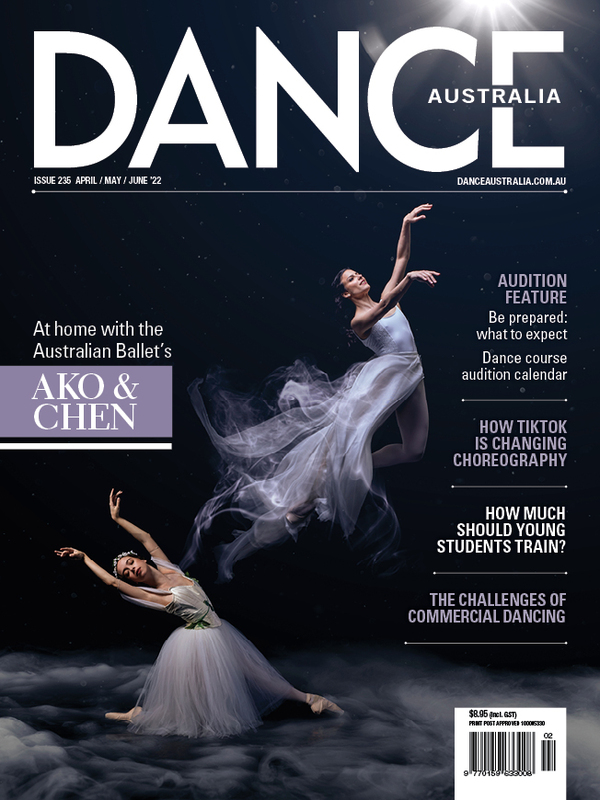 This article will be published in the April/May issue of Dance Australia. Want your own copy? Go here.